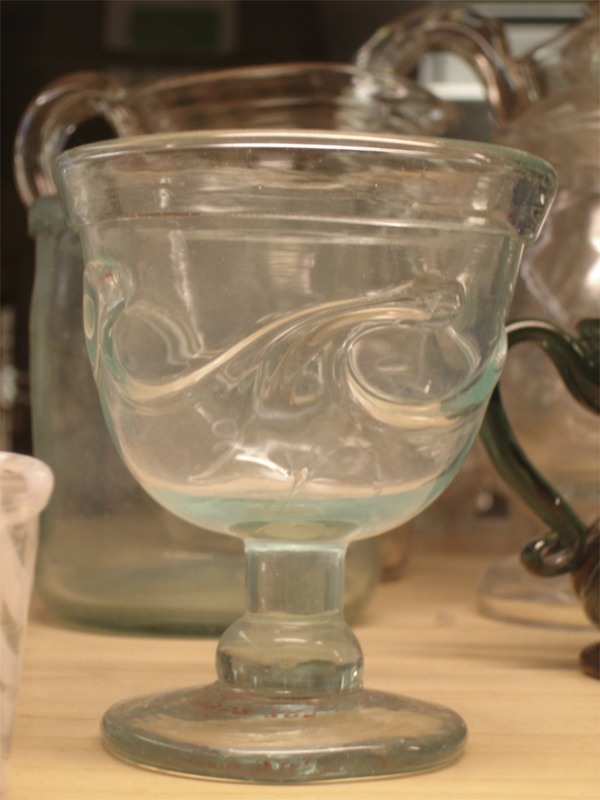 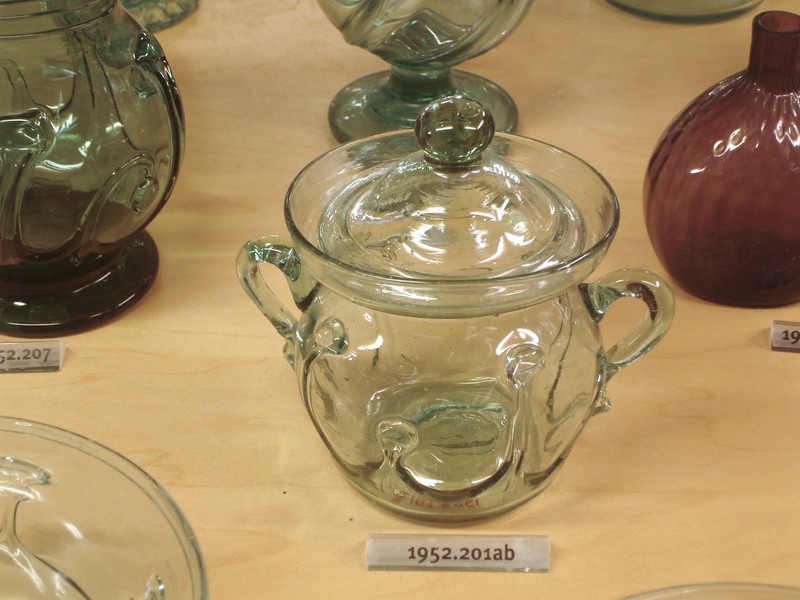 Size of glass collection is 2,000 objects. 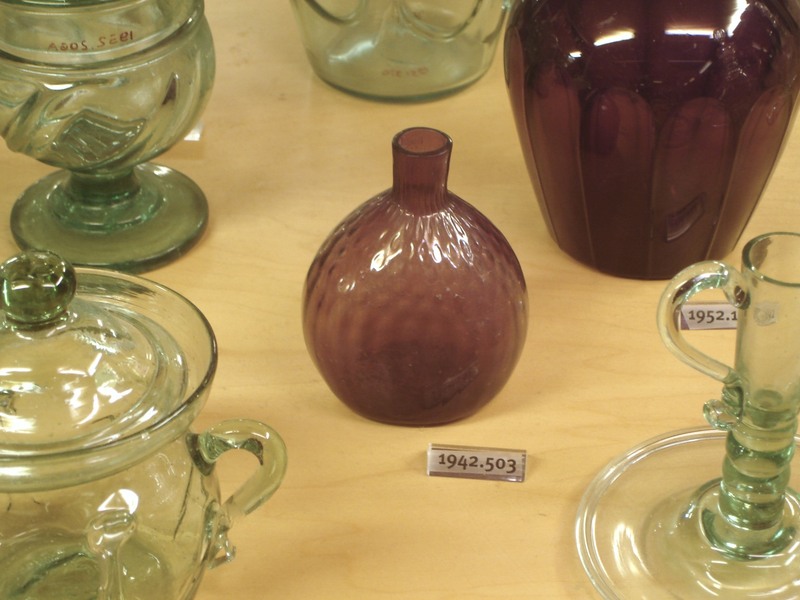 Highlights of the glass collection include a large assemblage of paper weights, a sizable and an important group of Sandwich Glass vases, candlesticks and oil lamps. 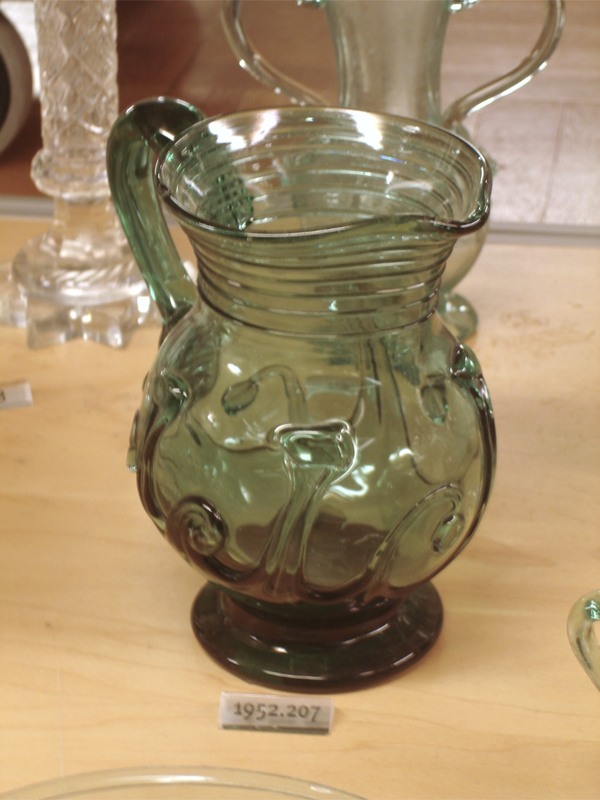 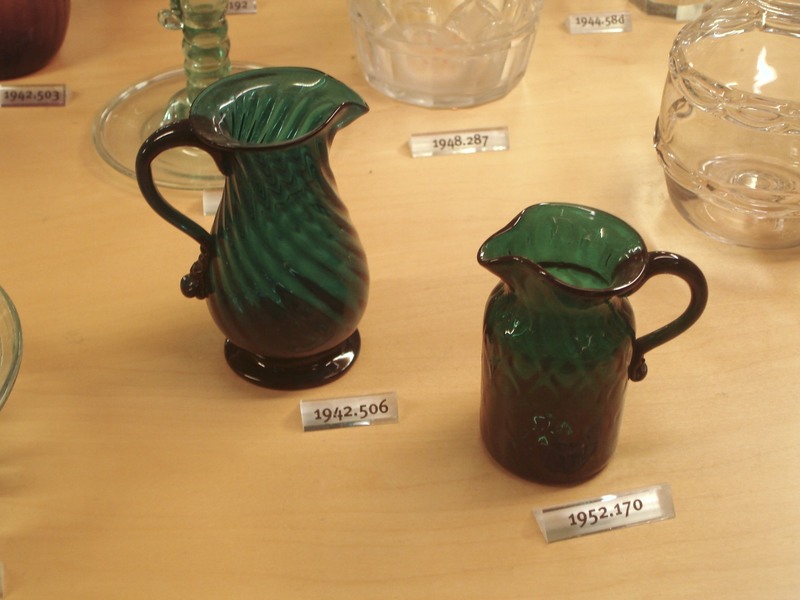 There are also examples of earlier glass such as South Jersey vessels with lily pad motif and Stiegel-type pieces. 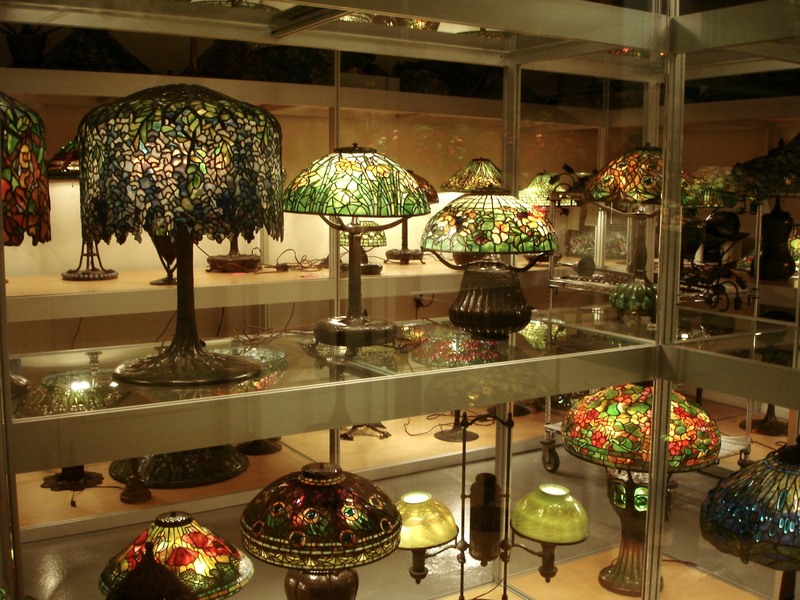 The collection has an important group of Tiffany glass vessels and lamps beautifully displayed. 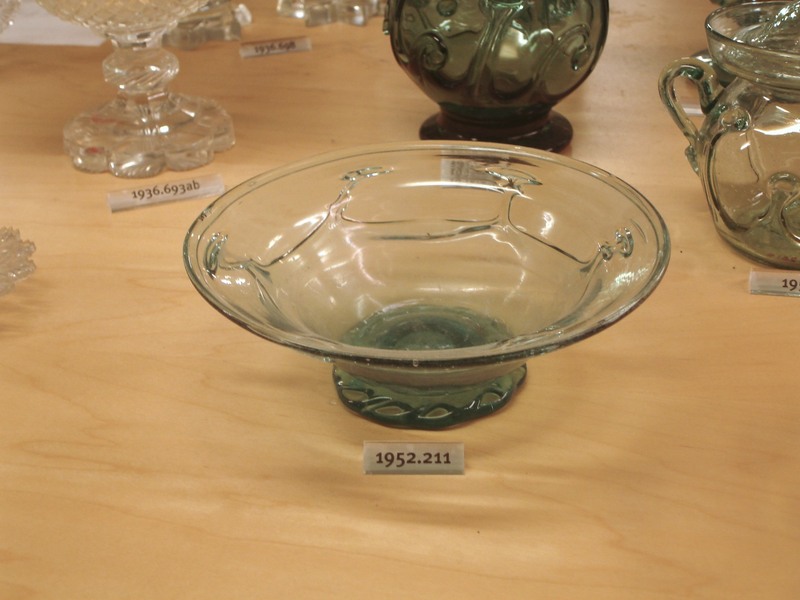 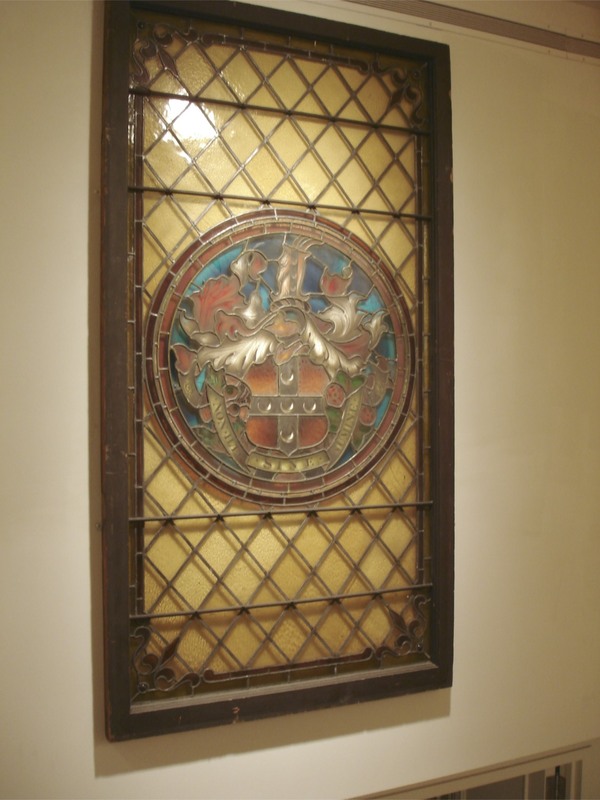 This is link to: The New York Historical Society glass collection.